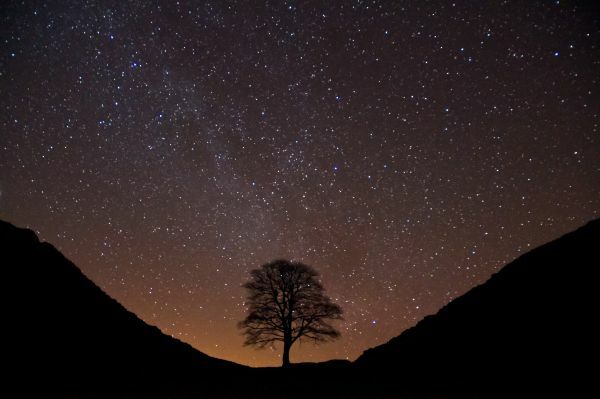 Northumberland National Park Authority is supporting a nationwide campaign aimed at raising the public awareness of light pollution in a bid to conserve our region’s starry dark skies. The ‘Big Dipper’ campaign, which officially launches this month, is the brainchild of the Dark Sky Alliance, a national group made up of conservationists, astronomers and tourist operators, including a number of National Parks, who all have an interest in protecting our night skies from excess light pollution. "It's important that efforts are sustained to cut light pollution further so we can all marvel at the night sky wherever we may live. This campaign deserves wide support." Northumberland National Park has been hailed as “one of the best places in England” to enjoy the beauty of the night sky. “We are incredibly proud of our dark skies,” said Duncan Wise, visitor development and marketing manager at Northumberland National Park Authority. “The Big Dipper campaign aims to celebrate our pristine skies by raising their profile and making people aware of the part they can play, no matter how small, to help conserve them. “The Northumberland National Park Small Grant Fund is designed to make a big difference within the National Park by funding innovative projects that would benefit from some seed capital to help make a real difference,” said Ruth Dickinson, community and rural enterprise officer at Northumberland National Park Authority. “Our outstanding night skies are of vital importance to the Northumberland tourism industry at this time of year,” Duncan added. Northumberland National Park is hosting a number of dark skies events as part of its winter event programme. Starting with a ‘Family Astronomy’ event at The Sill: National Landscape Discovery Centre on Saturday 6 October and running through until the end of March 2019, the programme includes stargazing events, astrophotography courses, meteor shower watches and much more.